"Very flexible and open to your ideas." "I got an awesome logo and everything I asked for was done exactly as I asked. Highly recommend!" 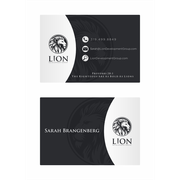 "Great Designer very quick easy and kind. Great price High quality logos have been created here will 100% get another one made soon." "worked quick and met my needs. A+"
"Excellent design work, great communication, thank you very much!!" "Thanks for all your efforts and your design work!" "Great job, very nice logo. It was a pleasure working with you. " "VectorCrow87 is a great designer with a sixth sense of knowing what I wanted without telling him much really. I feel his given us a great design and we know so far it meets our expectations as both clients and staff seem to love the design even before i..."
"VectorCrow did a great job on this project - fast and easy revisions and good work"
"VectorCrow87 did a great job with this logo. Response time to requests was fantastic, and the delivery was exactly what we wanted." "Great job, thanks for your help"
"Awesome Job by VectorCrow87. Worked with us on what we wanted. Great design." "Awesome job, easy to work with, really like the result." "Always right on time. " "Awesome designer! He really caught the concept and brought the design to life. I will definitely be back to hire him again." "Our old & tired design was re-envisioned and executed quickly and expertly. We had very few minor revisions, and the entire process was smooth! Thanks much, and we'll hopefully work together again some day soon!" "This was a simply awesome experience to work with this designer. He was very responsive and always took our suggestions and incorporated them right away - and would also initiate other suggestions as we worked through the process. I would highly recom..."
"Great designer, worked really well with our requests"
"Fantastic designer who was really easy to work with. Went above and beyond to try to integrate multiple design requests and was always willing to adapt to our needs. Would definitely recommend to others! " "and way past happy with the design that was made for me thanks vectorcrown87 "
"We are very grateful for all your adjustments to make our logo perfect. You are very talented and hard-working. Best wishes for a successful design career. Judy Stein"
"Great design by VectorCrow87. Very pleased with the work and always made the changes we requested in a timely manner. Excellent. Thank you again!" "VectorCrow87 truly is an amazing designer. The concept he created was something I never envisioned in my company's logo, but from the moment he posted the first rough draft, I immediately knew he had captured the essence and the feel of my company. Re..."
"VectorCrows designs are great quality, his ideas are original and cool. We had a hard time getting certain elements we were after from designers with the exception of VectorCrow87 who made the changes and gave us something fresh with a branding quality...."
"Dear VectorCrow87, Thank you for your help, you brought my idea to life. I really appreciate your work and creative support. You are truly talented and when i started this competition i didn't expect the idea to come out sooo great! thank you and keep..."